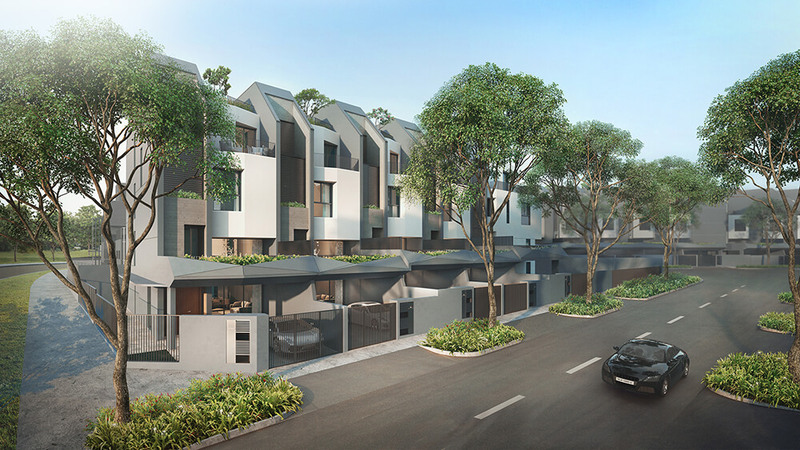 W Architects brings ingenuity to the pioneering design of the development's partial four- and three-storey landed terrace houses. 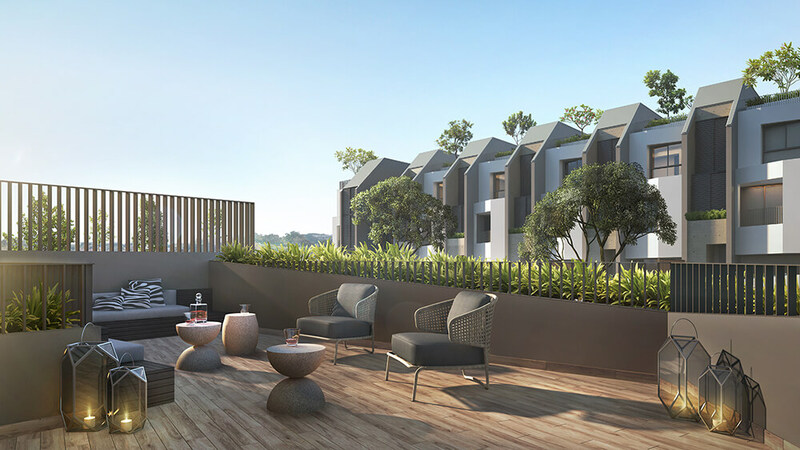 Through varying spatial heights and volumes, multiple views, connections to the outdoors on different levels and the intelligent embrace of natural light and air, residents will enjoy a thoughtful balance of intimate and communal spaces. More warmth, more soul, more functional to the needs of multi-generations living under one roof. 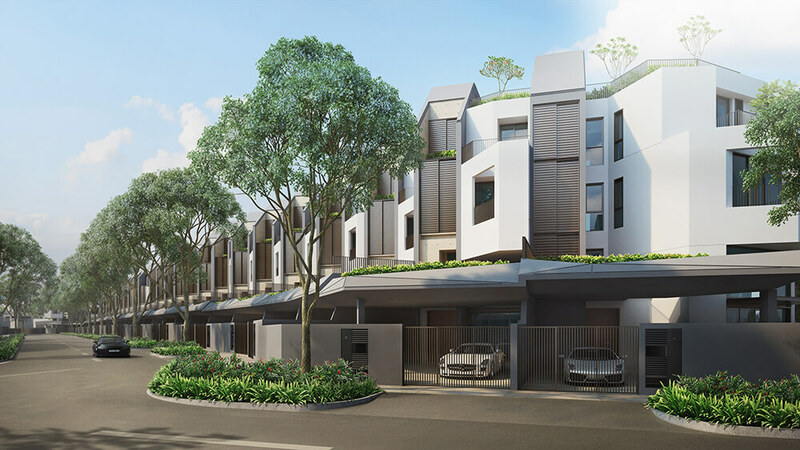 Built along Nim Road, the Nim Collection offers an exciting new mode of Seletar living in a cluster of landed terrace houses, representing Phase 1 and 2 of a 98-unit development. 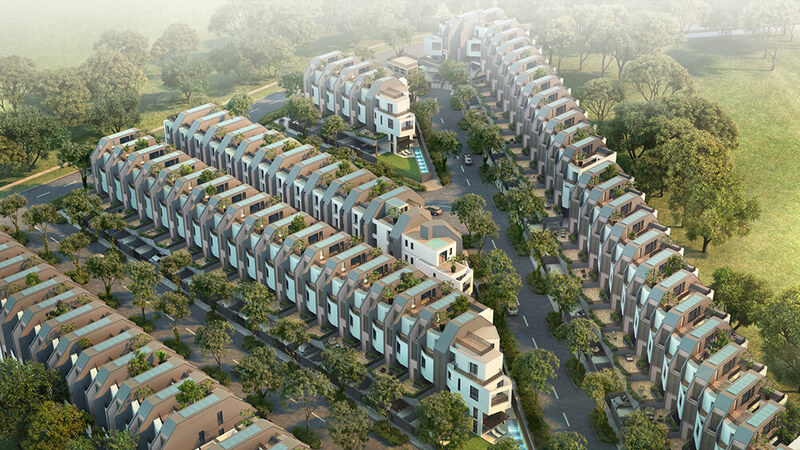 The Linear park is where you can indulge in the simple pleasures of life in commune with nature. A place to catch your breath after a busy day at work, to socialise with neighbours, walk the dog, let the kids out to play, or exercise your green fingers. A vital place to relax, connect and nurture your well-being. The Nim Collection offers the best of both worlds, cosseted from the urban rush, yet within minutes of several major expressways, including the upcoming North-South Expressway (NSE) that will significantly cut travel time to the city during peak hours. Estimated time taken to reach destination (drive). 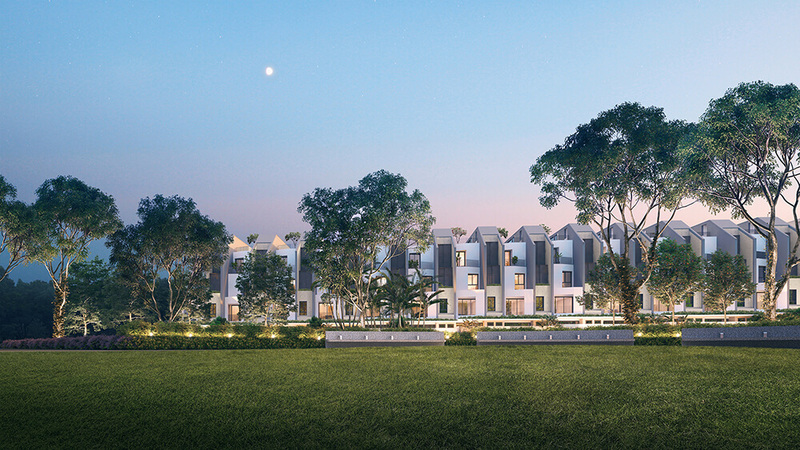 Savour a nostalgic slice of Singapore's colonial past at The Oval, the epicentre of the Seletar Aerospace Park community. Here, black and white bungalows that once housed British Royal Air Force personnel and their families have been transformed into a buzzing dining scene with cafes and restaurants of every culinary persuasion, all in your backyard. You're never far from Singapore's wild side. Enjoy days out at Seletar Reservoir or Punggol Waterway Park, pleasant escapes for hours of leisure where you can go fishing, kayaking, cycling, or simply soak up the scenic views. At the Nim Collection, you're in close range of a multitude of essential amenities. A variety of malls, including Greenwich V, AMK Hub, Waterway Point, Compass Point and Seletar Mall, offer convenient access to retail outlets, supermarkets, eateries, banks and entertainment facilities. Every education level is catered for with primary and secondary schools, junior colleges, polytechnics and a private university in the surrounding area, making this an ideal address for families.